Our two funnel chandelier combines rustic warmth with industrial style. Each funnel is hand-finished in an aged black steel patina and hangs from a barn wood beam. 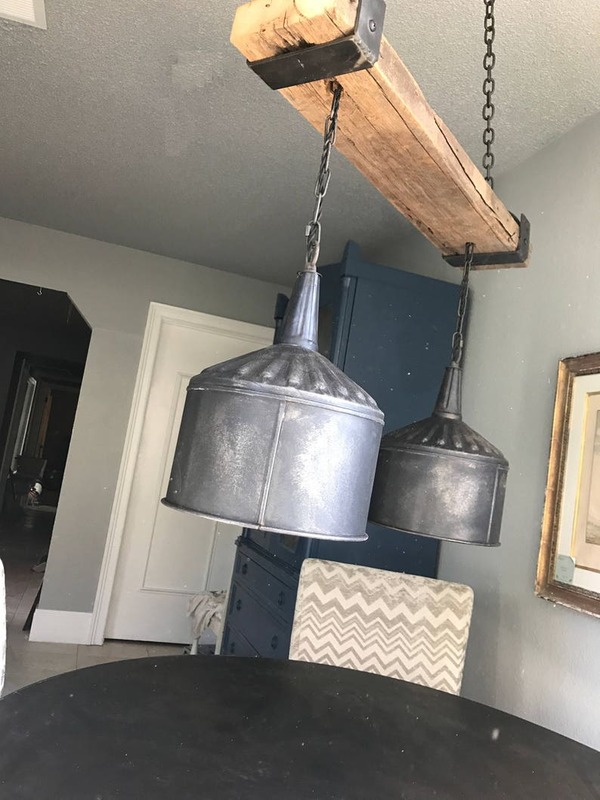 2 pendant lights hang from wood beam via rustic chain and black twisted cloth cord. Fixture measures 36" X 7" wide and 36" from canopy to bottom of funnels (can be adjusted) . All electrical components are new. Includes black steel canopy and all mounting hardware. (bulbs are not included). Lighting makes funnels appear lighter please see last picture for true funnel black patina.